Anthony Regnier was charged with assault with a weapon, to wit, his dog. During police attendance he had allegedly “sicced” his dog on the police. He was convicted after trial. He was sentenced to 90 days jail and 12 months probation. Regnier appealed. He alleged ineffective assistance of counsel and his sentence was unfit. His appeal was dismissed: 2017 SKCA 83. Taking these appeals in turn, Mr. Regnier’s notice of appeal against conviction alleges “defence lawyer conflict” and that his “defence was not properly heard.” Particularising these allegations in the hearing before us, Mr. Regnier said he had wanted his trial counsel to call two witnesses to corroborate his own testimony to the effect that he had not “sicced” his dogs on a police officer, which had given rise to the assault with a weapon charge. He says his trial counsel persuaded him to believe the Crown’s case was weak and, therefore, he reluctantly agreed not to adduce further evidence. The fact a discussion of this general sort occurred between Mr. Regnier and his trial counsel, although not its detail, is borne out by the transcript of trial. [Para 2]. To succeed, Regnier would have to “first establish that his trial counsel’s advice not to call the two witnesses in question constituted incompetence and, second, that a miscarriage of justice resulted”: see for example R v GDB, 2000 SCC 22. The court noted further that it is important for a reviewing court to start with the “strong presumption” of counsel competence. An appellant must establish the acts or omissions of counsel that are alleged not to have been the result of reasonable professional judgment. In assessing that conduct, “the wisdom of hindsight” has no role to play—that is, the adverse result of a trial strategy or decision does not of itself diminish the reasonableness of the strategy or decision when it was made or taken. [Para 5]. ...nothing in the court record that, on its face, suggests Mr. Regnier’s trial counsel acted incompetently. 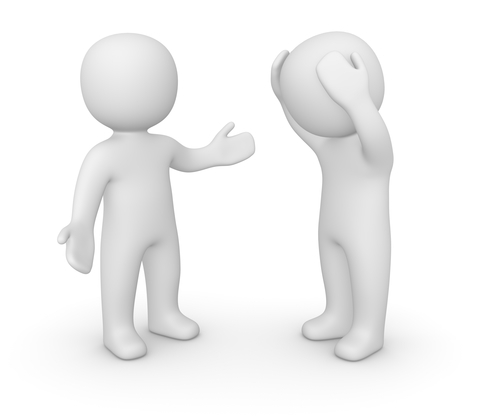 There are many reasons why an accused might decide to call or not call a witness. In this case, we are not privy to the details of the discussion between Mr. Regnier and his trial counsel in that regard—or, indeed, to what the two witnesses in question might or might not have said had they been called. We only have what Mr. Regnier says occurred because his trial counsel was not notified of this allegation of ineffective representation and Mr. Regnier has not waived his solicitor-client privilege, which would have allowed his trial counsel to defend against it. In short, the evidence falls far, far short of displacing the presumption of trial counsel competence. [Para 6]. The court further noted, for sake of completeness no doubt, that there was no apparent miscarriage of justice. With respect to the 90 day sentence, it was not demonstrably unfit and no error of law or principle was occasioned by the sentencing judge. Appeal dismissed. Regnier is a welcome decision reinforcing the presumption of competence and limiting success on appeal alleging incompetence when the true request is to permit another trial with a different tactical approach. 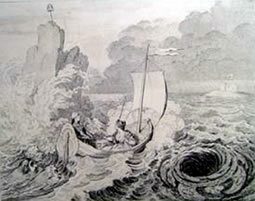 Homer's Odyssey refers to Odysseus being caught between Scylla (a six-headed monster) and Charybdis (a whirlpool). Whatever the origin, the phrase is well known and been used in songs (sung first by Cab Calloway in 1932), movies and plays. In the recent case of R v Borde, 2011 ONCA 534, the appellate Crown (James Stewart) craftily made reference to this phrase in discussing the dilemma facing defence counsel at trial in response to a ground of appeal alleging ineffective assistance of counsel. Quinn Borde was charged with several offences relating to a robbery and attempted murder. At trial his position was that he did not commit the offences and was at home with his mother when the offences occurred [paras 1-2]. On June 29, 2006 two young women were partying together and decided to attend at another woman's residence for the purpose of buying some marijuana. During their trip to that residence they were accosted by a male, alleged to be the appellant. The appellant robbed them of a chain and some cash and then told them they were staying with him. The three then attended another residence to find some marijuana and a confrontation occurred at the door of that residence during which the appellant shot the resident. The appellant and the girls left the apartment and shortly thereafter on the street were confronted by the police. The appellant began shooting at the officers and then fled. During his flight he fired shots at an ambulance which was attending to help the residence who had been shot earlier. At trial the Crown called eye-witness photo lineup including one of the females who had known the appellant. While the appellant had apparently not planned to testify, after the female witness proved to be "formidable" he chose to testify and provide an alibi defence - which, due to his initial position, had not previously been disclosed. The appellant was convicted of almost all of the offences he was charged with and appealed [paras -14]. Defence counsel examined both the appellant’s mother and brother regarding his claim of alibi and concluded that the jury was unlikely to believe them. Counsel for the appellant accepts that it was reasonable for defence counsel to make this judgment initially and to advise the appellant not to testify. Counsel for the appellant points out that circumstances change, as they did in this case, and because the accused always has the right to decide to testify, defence counsel must serve a notice of alibi in all cases. The only exception this rule that counsel for the appellant would recognize is where defence counsel knows the claim of alibi is fabricated. I find the proposition too unequivocal. Certainly, having the case go to the jury with an adverse inference instruction is always undesirable for the defence. Every effort should be made to avoid that happening. However, sometimes the defence must choose between the devil and the deep blue sea, as counsel for the Crown put it. Here, defence counsel considered that the appellant’s alibi defence would be disbelieved, and that having the police investigate the claimed alibi would harm the defence by exposing its weakness or possibly establishing it was concocted. The appellant was prepared to accept that advice. In the unlikely event that the appellant changed his mind, going to the jury with a failed or concocted alibi would have been worse for the defence in defence counsel’s judgment. This was a competent, professional tactical decision that I would not second guess [paras 20-21] [emphasis added]. Other grounds of appeal were raised and rejected including an allegation with respect to the use that could be made out of the appellant's failure to call his mother [paras 26-29]. In the end the appeal was dismissed. The appellant had been sentenced by the trial judge to 25 years.